For decades now, campervan rentals have been part of NZ’s recreation and leisure activities. This small country in the southwestern part of the Pacific Ocean is breath-taking in so many ways―scenic landscapes, impressive wildlife, and amazing culture. 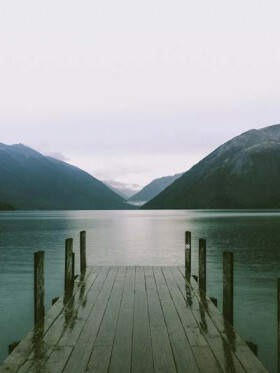 And nothing is more fitting than to hop onboard and witness firsthand the picturesque surroundings of New Zealand. Exploring NZ is often associated with renting a campervan―a popular and budget travel mode that takes you to the open roads. Since NZ is dubbed as a road trip-friendly destination, there are heaps of campervan companies all over the country. And as of the present time, these businesses have moved towards sustainable hires through the introduction of electronic vehicles. Electronic vehicles are considered a breakthrough in the campervan rental industry, and more and more rental giants are embracing this evolution. First introduced in 2018, these new campervans continue to be a charm among backpackers, who want to be practice efficient and environmental exploration. As of this writing, two of NZ’s rental giants―Jucy and Britz―have jumped into the bandwagon for a brighter and greener future. Both these campervan companies offer a very extensive fleet, with several depots across the country and even abroad like Australia and the USA. So, let’s get into details and know more about this amazing vehicle development, which will soon be the quantum leap in the world of campervan hire. 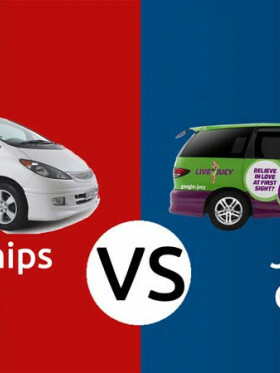 When it comes to campervan rentals in NZ, JUCY is a household name in the country’s rental business, with its amazing selection of cars and campervans for couples, families, and friends. 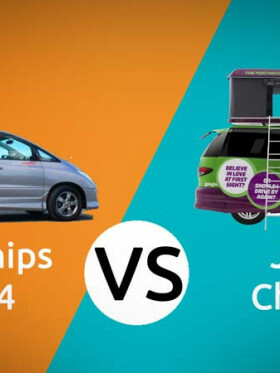 They have been in the business for so long, expanding their fleet of cars and campervans in green and purple color combo to the worldwide market. And in 2018, JUCY becomes the frontrunner in sustainable campervan hires in the country when they offer the first-ever electric Kiwi campervan. The JUCY EV is a 2-berth unit that lets you experience an eco-friendly adventure. The electric vehicle was not a disappointment and even gave more savings to the first persons who rented it! Being out in the open road for three weeks, travelling from Cape Reinga to Wellington, the JUCY EV unlocks a new kind of travelling that is only fueled by local energy. With 100 km driving range, this allows travellers to wander around different places without the need to stop and charge. Also, the vehicle comes with an approximate of 30-minute re-charge to allow you to rest and take in the magnificent landscapes. Don’t worry this is in a fast-charge mode so you won’t be overly wasting your time. But of course, you can make the most out of this extra charging time to do your daily chores or simply appreciate the beauty around you. Because you are charging at different destinations, each charging moment is always unique and memorable! There are plans to provide more charging stations, and this will include spots in their Snooze hotels in New Zealand and Australia. Touring the campervan, you can relax comfortably in the living room with a sofa and desk. At the rear area is the kitchen that has everything you need, from the fridge to the extendable table. The limited interior dimension means that you will need to sleep on the pop-up roof tent that comes with a ladder. Even with no bells and whistles, this new campervan is meant to fire up your Kiwi adventure spirit! Another large campervan company in the country, Britz now offers its newest fleet addition―the eVolve. This unit isn’t just any other campervan on the market; it’s an electric vehicle that focuses on eco-friendly road trips around Auckland and Queenstown. Since Britz continues to influence the campervan hires in the country, this recent expansion to a greener kind of rental is such a great feat. 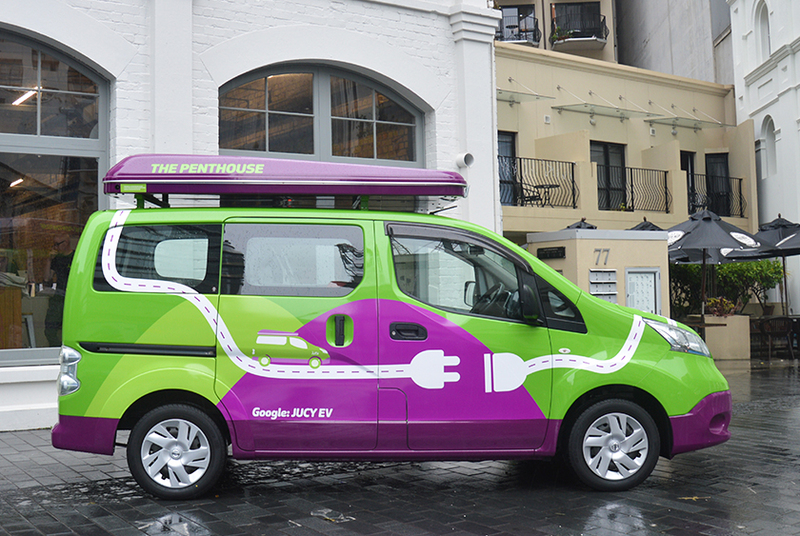 It is the second company in NZ that offers electric-based campervans that range up to 120 km. Also sleeping up to two persons, the eVolve is roomier and comfier than the JUCY EV. Well, what do you expect from a modern and fully-equipped LDV? Simply amazing features and spacious layout! Inside, you have a shower & toilet, kitchen, lounge bed, and storage cabinets. The convertible rear bed is equipped with all sleeping essentials including pillows, duvets, and blankets for two. If you’ve got extra stuffy, keep them inside the external storage locker. And if you’re bringing bikes, then the bike rack comes in handy. The kitchen is a place to enjoy because of the furnished cooking equipment and accessories such as fridge/freezer, microwave, electric stove, hot & cold pressurised water, cooking utensils, and more! Other features that make eVolve a great contender in this category are the LCD display, Bluetooth, in-built GPS, and radio. With its striking amenities, this 2-berth unit could be tagged as a literal house on wheels―except this one is more environment-conscious. With the philosophy of modern yet sustainable campervan hires, it’s not hard to fall in love with this amazing campervan advancement that is designed for the future of the world’s mobility and renewable energy. And one thing that makes this breakthrough more exciting is the support from the local community. Truly, this is something to look forward to in the years to come!